How is your association utilizing mobile devices to engage your members? If your organization is like many we’ve spoken with, chances are good that you aren’t yet taking full advantage of what mobile can accomplish. Engage, Walsworth’s newest app platform, can help. Powered by a platform built with associations in mind, Walsworth’s Engage apps are stacked with functionality associations need to increase member engagement and provide an easy and affordable way to leverage mobile to extend the reach and engagement of the content you print with us. The apps don’t stop there. In addition to handling content, the apps are designed to manage all aspects of association events, eCommerce, notifications, sponsorship and analytics. In short, Engage apps provide associations a 360-degree view of their membership. The new app platform focuses on the three E’s of associations: Education, eCommerce and Engagement. And its SaaS-like scalability enables associations to manage member access at the individual level, even if they have a large membership. Publication content is formatted for mobile device readability with quick navigation and potential for continuous publishing in real time. Member retention functionality is included, and targeted messaging and notifications are supported. And sponsorship functionality provides associations the opportunity to increase advertising revenue with in-app promotions. By integrating with association AMS systems, the app’s role-oriented structure enables management of gated content, and provides a high level of personalization. This is especially beneficial during association events, when members can receive notifications of the sessions they have planned to attend during a conference. There is even geo-fencing capability to send personalized welcome messages when they’ve arrived at the association’s event space. Are you ready to see how Walsworth’s Engage app can meet your association’s needs and increase member engagement without a huge investment of time or money? 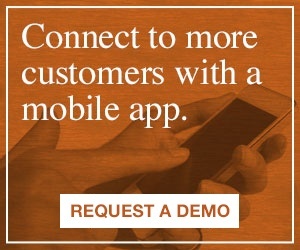 Request a demo today and speak with our apps team.